To celebrate World Food Day, charitable snack purveyor This Bar Saves Lives, hosted its very first ‘This Party Saves Lives’. This Bar Saves Lives, a philanthropic company that was founded by Hollywood actress Kristen Bell, produces granola bars that help feed children; for every bar that's purchased, a child in need gets a packet of food. So the decision to host a party on World Food Day was totally apt. The LA event saw guests participate in an interactive art installation which had a philanthropic purpose. As guests arrived, they were handed a box that would later be filled with food and eventually delivered to a child in need. 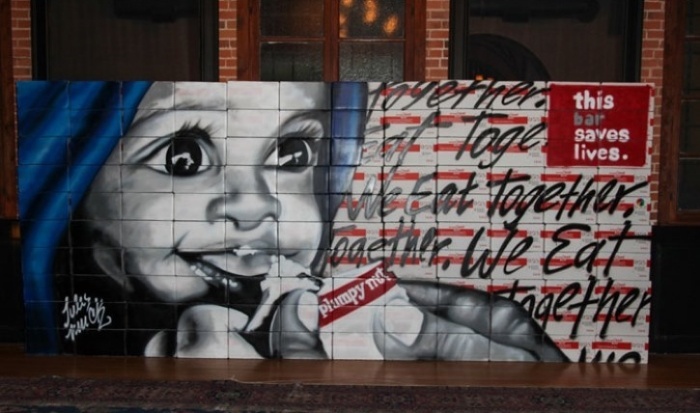 At the end of the night, these guests were asked to place a box near a wall, and the boxes ultimately formed a thematic mural of a child being fed that was designed by California artist Jules Muck. Other cool collaborations that the company is investing in include This Resort Saves Lives, This Workplace Saves Lives and This Dessert Saves Lives. 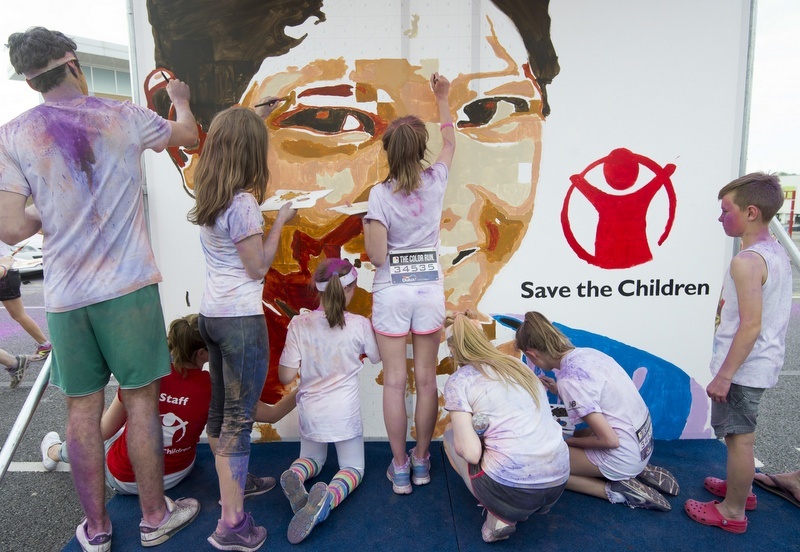 We really love this idea as it reminds us of the interactive art installation we orchestrated for Save The Children at this summer’s The Color Run events throughout the UK; a giant paint-by-numbers concept based around an image of a child’s face that runners were invited to help create. Get in touch if you want to talk about incorporating art into your live marketing activations!